Hans-Joachim Roedelius has been a constant member of the different formations of Cluster, beginning with Conrad Schnitzler and Dieter Moebius as Kluster, then with Moebius, and for a brief interlude Brian Eno, as Cluster, and now performing with Onnen Bock and Armin Metz as Qluster. 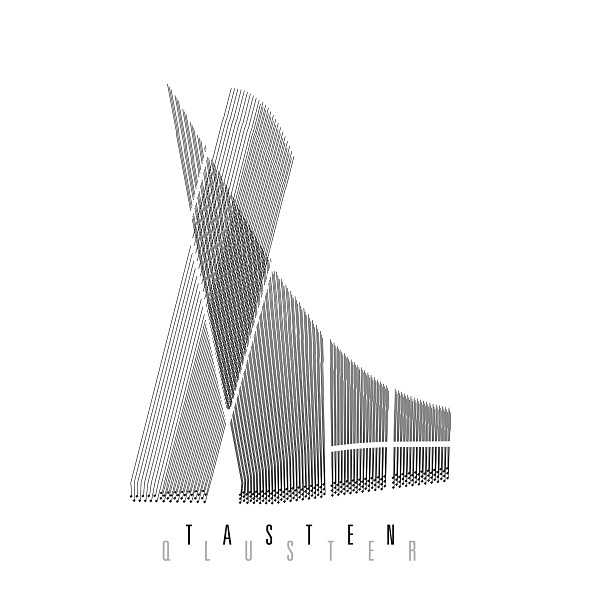 Qluster have been performing and recording since 2011 and Tasten is their fifth album. On Tasten, the trio explores the musical depths of three Steinway concert grand pianos to their fullest potential. Hence the abstract cover art. The nine tracks explore overlapping instruments, sometimes gentle melodies, sometimes aggressive and impulsive sonic storms. And they are not above unconventional percussive playing, plucking strings, etc. Each track is different and yet similar. Some pieces are downright beautiful musical excursions with the sustain pedals firmly locked. Others are quite introspective. I was listening to It’s a Beautiful Day recently and Qluster’s “Il Campanile” reminded me a bit of “Do You Remember the Sun?” Overall, Tasten is quite a relaxing listening experience, and entirely different from Cluster’s electronic explorations.